The American Sleep and Breathing Academy’s (ASBA) concluded a very successful 6th annual meeting April 21-22 in Phoenix AZ. This year’s highly anticipated conference, exceeded expectations, with a record number of registrations, as well as a very strong speaker program the conference garnered fantastic reviews from attendees, exhibitors and other industry professionals who attended. Next year’s conference scheduled for April 13-14, 2018 is expected to draw over 500 attendees. 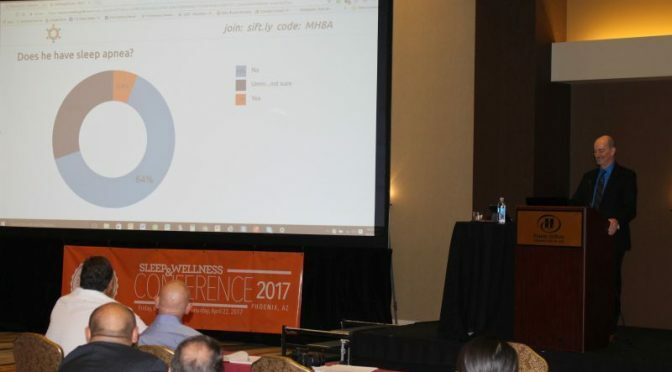 The Sleep and Wellness Conference 2017 exhibitors’ feedback was “overall a huge success”, which in turn has lead to 33 out of the 48 available spots being reserved for 2018. 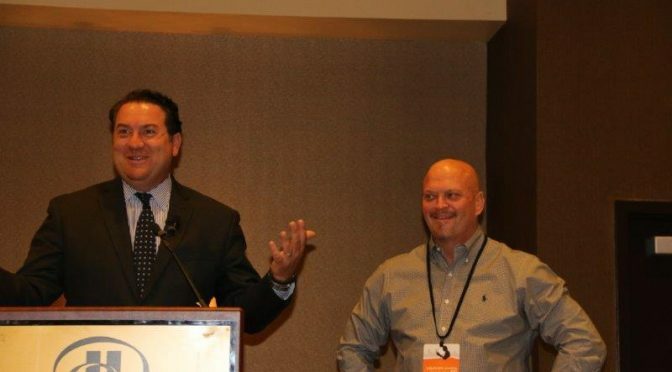 Sleep Group Solutions’ CEO, Rani Bendavid, was thrilled to be able to attend the meeting. Rani Bendavid said, “We sold more product at this meeting than any previous meeting.” “The 15 booths we still have open to exhibitors will go by the end of the month. It’s a good idea to reserve your spot as soon as possible,” says Gergen. Reservations for spots in the exhibitor hall can be made by emailing David Gergen at david@myasba.com or Alan Hickey at alan@myasba.com. View photos from Sleep and Wellness Conference 2017 by clicking here. It’s now summer, and David Gergen is back in Colorado planning Dr. Wilk’s second awareness event. “January’s event was rewarding seeing people who truly needed care with their sleep apnea come out, not to mention everyone who attended brought cards and photos for the players to sign. Everyone had a great time and Dr. Wilk was able to reach out to a number of locals who sought treatment for their obstructive sleep apnea. ESPN and NBC were there to cover the event, and it is working well, while also getting better each and every time. I’m excited for our next event.” says Gergen. David Gergen coordinates 5-6 public sleep apnea awareness events with ASBA doctors a year nationwide. For more information on how you can become involved in reaching out to your local community with such an event, contact David Gergen at 602-478-9713. The American Sleep and Breathing Academy’s (ASBA) 6th annual meeting, the most anticipated academy event of the year, exceeded expectations as registrants overwhelmed speakers and ASBA staff with incredible reviews. The event began Thursday, April 20, 2017 with a spectacular review course presented by Dr. Kevin Mueller, a professor at Midwestern University, for dentists preparing to sit for the ASBA and the American Board of Sleep and Breathing’s (ABSB) Diplomate Exam on Sunday, April 23rd. The review course is considered by previous participants as a must-attend. The ABSB exists to administer a certification program to dentists in dental sleep medicine which is a process that enables them to treat more patients with oral appliance therapy and positional therapy, in a more efficient and cost effective manner. Saturday, ASBA President Dr. Kent Smith provided his thorough knowledge of working with physicians and establishing yourself as a dental sleep expert. Dr. Paul Van Walleghem explained how credentialing works and what becoming board certified means for the dental sleep medical model. Dr. Neal Seltzer and Gina Pepitone spoke on building the dental sleep dream team and what percent of the practice should be sleep. Dr. Richard Klein displayed TMD and its relation to OSA. Dr. David Singh “wowed” the crowd with his demonstration of non-surgical upper airway remodeling and special guest Dr. Ronald Brown who served as a board director on the American Board of Dental Specialties concluded lectures by presenting dental sleep medicine as a sub-specialty. 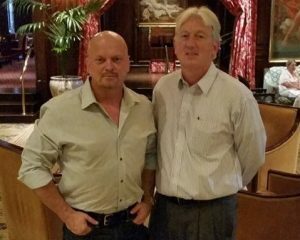 On March 27, 2017 David Gergen, CEO of the American Sleep and Breathing Academy (ASBA) and Pro Player Health Alliance (PPHA), NFL legend Roy Jet Stream Green and Dr. Anthony Scianni, DMD, D’ASBA arrived at the Camby Hotel in Phoenix, AZ to present to a Pro Football Retired Players Association (PFRPA) Board. 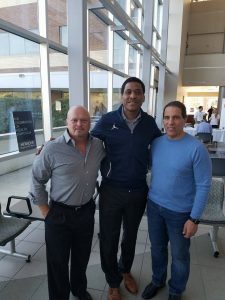 The presentation was intended to provide information about the benefits available to the retired players regarding treatment for their sleep apnea, which was well received and later applauded, but soon turned focus to the new dental program being offered through the “Greater Good Fund”. For the first time, there will be a plan including consistent coverage for preventative, basic and major dental services for the former players. 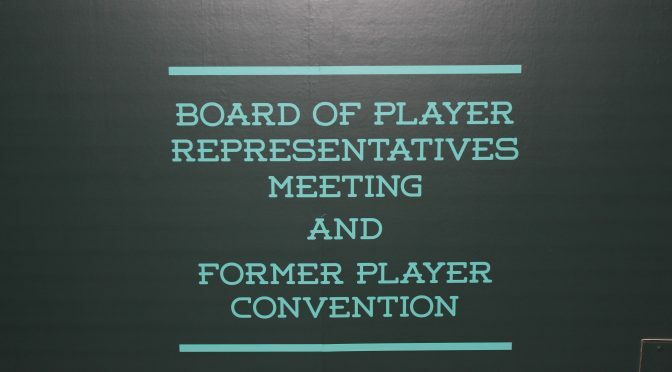 Due to Gergen’s extensive dental background, the board was interested in hearing how he could assist in improving the value of the program for the players while providing a boost for the Greater Good Fund. Gergen delivered perhaps the most powerful speech of his career. Fueled by his passion to help the former players, David created a plan that would not only save the fund money, but actually put money back in the fund that can be used to contribute to additional benefits for the players. Register at sleep-conference.com or call David Gergen at 602-478-9713. The National Football League Players Association (NFLPA) recently chose Scottsdale, Arizona, to host its annual meeting for player representatives. Along with usual discussions of player wages, benefits, and positional elections, the Pro Player Health Alliance (PPHA), Living Heart Foundation, and Redirect Health offered free health screenings for former players. More than 100 retired players took advantage of the screenings where they were assessed for body composition, blood pressure, pulmonary function, hearing, sleep apnea, and more. American Sleep and Breathing Academy (ASBA) Diplomates, Dr. Mark Castle, Dr. Dian Olah, Dr. Anthony Scianni and Dr. Kevin Mueller, were chosen to oversee the sleep apnea screenings. They later became known as the “Dream Team” by the end of the event, because they were able to help every player to get tested and referred to an ASBA dental sleep specialist for oral appliance therapy. 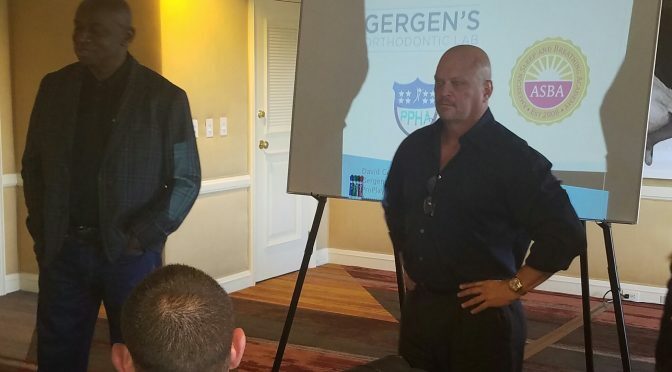 For more information about overall health screenings for former NFL players, more information about the ASBA, or how to become a Diplomate of the ASBA, call David Gergen at 602-478-9713 or visit americansleepandbreathingacademy.com. A year ago, nobody knew who Dr. Anthony Scianni was in dental sleep medicine . In only six months after joining the American Sleep and Breathing Academy (ASBA), he has been elected to the board of the ASBA and now is one of the fastest rising stars in dental sleep medicine. 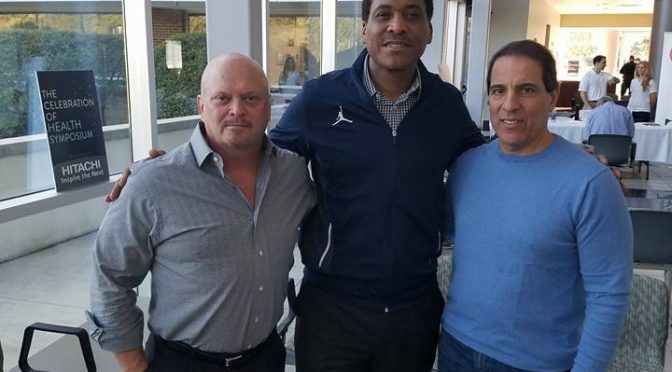 He is the only dentist selected by David Gergen and the Pro Players Health Alliance to treat former pro football players for obstructive sleep apnea in the New Jersey chapter of the National Football League Players Association (NFLPA). At the Pro Bowl game, a fan in the stands walked up to him and David Gergen and said, “You are the guys doing dental sleep medicine for the national football league aren’t you?” Gergen leaned in and mentioned to Scianni things like this will be happening more and more as he continued to work with the former players. The NFL is multifaceted and yet very tight niched. Recently, a 42 million dollar dental program for general dentistry paid for by an NFL fund was presented to David Gergen and the Pro Players Health Alliance to administer and manage. Gergen being in orthodontics and removable appliances (TMD/Sleep) his entire career, knew he needed to reach out to a dental expert. Because of his success with Gergen in the ASBA and the NFLPA dental sleep program, his first thought was to turn to Dr. Anthony Scianni. Dr.Scianni, who is a well respected dentist with over 20 years of experience in general dentistry and dental insurance, served as an dental insurance consultant for over 8 year right out of dental school. Gergen instantly knew that this was a perfect fit for the new NFL program. Gergen is always loyal to the former players and his industry – dentistry. So he knew he had to find a way to make sure the fund will be managed and administered properly and at the same time be confident that the former players still receive their maximum dental benefits. Gergen and Scianni will roll out in April the first ever NFLPA dental program paid for by the fund – up to $2,000 per player annually. 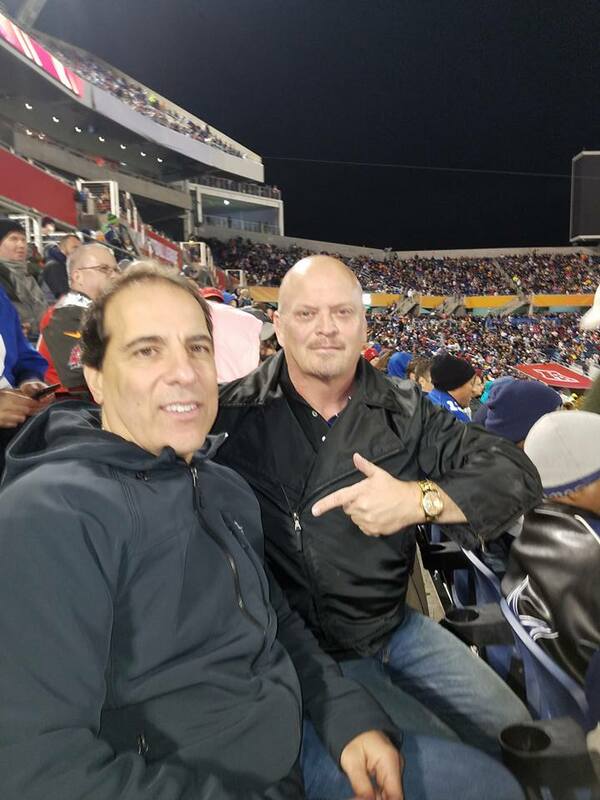 Dr. Scianni has be named the Managing Director of Pro Player Health Alliance. A New Jersey native, Dr. Scianni graduated from Rutgers University in 1982. With a Bachelors Degree in microbiology and business, Dr. Scianni entered dental school at the University of Medicine and Dentistry of New Jersey. He received his D.M.D. degree in 1986 and graduated at the top his class with honors. Since graduating from dental school, Dr Scianni has followed a tradition of high-quality dentistry with personalized care. His philosophy is to use the latest techniques and technology to help maintain the patient’s oral health. Strongly committed to ongoing professional education, Dr. Scianni participates in many continuing education courses, seminars and clinics. He has attended over 1000 hours of continuing education in implant, cosmetic and restorative dentistry and sleep disordered breathing. He has received advanced training in implant dentistry from N.Y.U. College of Dentistry as well as advanced training in cosmetic and restorative dentistry from some of the world’s most renowned clinicians. Dr. Scianni is affiliated with multiple dental associations including; the Academy of General Dentistry, the American Academy of Cosmetic Dentistry, the American Academy of Oral Implantologist, and the American Sleep and Breathing Academy. He is also an expert contributing writer for a local magazine. Dr. Scianni has over two decades of practicing dentistry in New Jersey and relocated his practice, Renaissance Smiles to Colts Neck, NJ in 1993. Through his constant pursuit for perfection, Dr. Scianni incorporates the latest technology and the most advanced techniques to provide his patients with the highest level of care possible. Dr. Scianni and his team are committed to staying up to date on the most recent advances in dentistry and the treatment of obstructive sleep apnea. As his general practice grew and through hs treatment of patients over many years, Dr. Scianni recognized that many of his patients had sleep disordered breathing problems that were not being diagnosed or treated by their physicians. Because Dr. Scianni has found it increasingly important to devote more time and resources to the treatment of obstructive sleep apnea which affects over 18 million people and which is largely undiagnosed, he has opened The Center for Dental Sleep Medicine. If you have any questions about general dentistry, dental sleep medicine or you want to be part of the Pro Player Health Alliance programs, contact David Gergen at 602-478-9713. This is demonstrated up close and hands on at the American Sleep and Breathing Academy annual meeting. Register at http://www.sleep-conference.com. Oral appliance therapy is considered an effective treatment for snoring and obstructive sleep apnea (OSA). The appliance functions by supporting the jaw in a forward position to help maintain an open upper airway. When utilized properly, it is worn at night and fits like a mouth guard used in sports. The success of the appliance, however, depends largely on the quality of the bite registration taken. While many view the process as an uncomplicated procedure, if it is not done using the correct technique with precision it could negatively impact the treatment. The dentist should instruct the patient to sit upright in the chair. The dentist should instruct the patient to count out loud numbers 55-75. Notice numbers 5, 8, 9 for vertical opening and 66 for maximum anterior posterior positioning. If you do not get the desired AP with the “ss” sound, you can use the second “s” sound, “sh” to acquire the max AP. The “n” sound in 69 will drop their mandible vertically as well and give you their full natural opening. The “n” sound is a straight vertical drop wherever you’re at in speech; using the word “shun” is another method for obtaining the best AP position. The dentist should use a round surfaced instrument as opposed to a flat one (for anterior stabilization during the registration) between teeth #8 and #9 to hold that position of the jaw. Use a fast set bite registration material to capture the bite. You will always want to start with having the patient occlude their teeth a few times in order to make a mental image of their natural occlusion. Having the patient counting those numbers should give you a feel for the most balanced yet natural vertical opening. All three types of basic classes of anterior occlusion must open to disclude the posterior teeth in order to allow a person to speak, and when “ss” sounds must be made, at least 1 to 1.5 mm of clearance must be developed between the upper and lower central incisors. Note that saying “s” will not be sufficient; you will actually have to force the sound to occur using it in a word, as seen during the count in numbers that contain the “ss” sound or like with the word “Mississippi”. The amount of disclusion depends on the degree of forward movement of the teeth from centric relation to their “ss” position. These movements define the incisal guide angle and represent vertical and horizontal overlaps of the teeth. Thus, the greater the forward movement, the greater the amount of posterior disclusion and the resultant “s” space – or posterior speaking space as found in the number “66” and word “Mississippi”. Once again, repeat these steps a few times to make sure you get the same results. It is important to capture the optimum vertical as it is much harder to adjust after the appliance is fabricated. After using this technique, utilize the Airway Metric System by placing the correct jigs correlating with the sleep bite for reference. Lean the patient back in the chair and see if they can snore. If they cannot, ball game over. I specifically instruct doctors to only use the Ricketts Phonetic Bite with NFL players because of the accuracy and rate of success. For example, Super Bowl Champion Derek Kennard’s AHI went from a 72 to 2 on the first try using this technique. David Gergen launched Gergens Orthodontic Lab in 1986. He is a serial entrepreneur, and investor in several other companies. I met David Gergen many years ago in Minneapolis. I had heard stories about him and expected to encounter a Paul Bunyon like character. To my surprise, he was only about 5’7”, but I would not want to be in the vicinity if he swung an axe. What he lacks in height, he makes up for with intensity. The discussion that follows delves briefly into aspects of his personality and behavior in order to shed some light into the mindset of one of dental sleep medicine’s truly unique entrepreneurs. 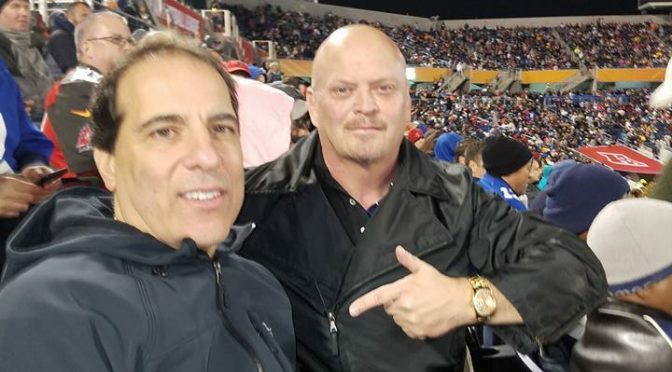 David approached me, told me he needed an excellent IT guy, and revealed that the old owner of the academy he was involved with had run off with the money. The academy at the time was a couple of hundred thousand dollars in debt and Gergen was cooperating with authorities to get things back in order. That was the bad news. The good news was that a lot of the debt would eventually go away and Gergen would fund the academy to keep the doors open, which meant no money out of pocket. Better still, the academy had a solid 150 members on the dental side separate from the hundreds on the medical side. Unfortunately, he could not retain the medical side or offer them anything of value at that time, so he wanted my help restoring it in the near future—making the ASBA a multidisciplinary academy serving both medical and dental sleep professionals. I’m presented with opportunities every month, and as challenging as this was, I said yes, because of Gergen’s reputation as a leader, business entrepreneur and an unnatural ability to out-work anybody. This was the first time I began seeing the true ambition of David Gergen. An ambition to excel is not the only phrase I would use to describe what he does. It’s coupled with a willingness to succeed and an indomitable spirit. Two months later, on the first morning of the conference, the halls of the DoubleTree were filled with attendees. I couldn’t believe my eyes. Now, two years later, the ASBA has almost 1,000 dental members and receives calls daily from medical doctors wanting to join. I was speaking recently with Dr. Neal Seltzer who told me David has done more to promote public awareness of dental sleep medicine in the past four years than the industry has done the past 25. He described, “Gergen as a “star”. “He’s bringing sleep awareness not only to the public but also to the NFL, congress, attorney general, and senators”. The American Sleep and Breathing Academy is now thriving and legitimate. The 501(c3) has been filed and we are about to reinstate all of the medical members from the past. This year will be the last year the academy will be geared only toward dentistry. Next year (2018) will be the first year that dental and medical will all be at the conference under one roof, because the ASBA will be a true multidisciplinary academy. There is no doubt that David’s qualities have brought him a great deal of success. His charismatic persona, rebellious spirit, and his easy-going nature play a big part in it. While the professional societies in the space play it safe and keep growing under the cloak of educational respectability, which although are very important don’t get us to where we need to be as an industry. Someone has to have a vision for where we want this industry to be in 5-10 years time. To experience what David wants to share with our community, please join us at our annual Sleep & Wellness conference April 21-22 in Phoenix, AZ. David will host a panel of like-minded professionals and Doctors who all share in the same vision for dental sleep medicine. 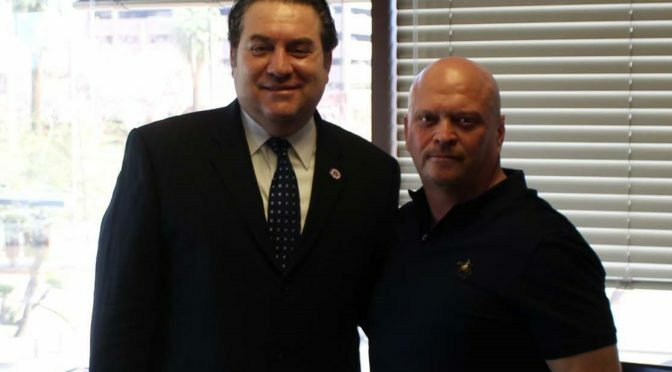 My name is Mark Brnovich (pronounced “Burn-O-Vich”), and I am attorney general for the state of Arizona. I’ll be heading to the American Sleep and Breathing Academy’s (ASBA) “Sleep and Wellness” meeting, scheduled for April 21-22 in Phoenix, AZ, and I look forward to seeing you there. You may ask: Why does a government lawyer care about sleep medicine? The answer is that poor sleep affects so many aspects of life, particularly when it comes to highway safety. Whether accidents are caused by public vehicles or private cars, they often lead to legal headaches and human misery. A recent meeting with the CEO of the ASBA, David Gergen, along with the Association’s executive director, Alan Hickey, helped to explain the connection between sleep health, public safety, and my job as a public servant. After conferring with Gergen and Hickey, I’ve decided to make a presentation at the ASBA Meeting. Alberto Gutier, director for the Arizona Governor’s Office of Highway Safety (GOHS), will also be speaking. Officials in Arizona are paying attention to the human toll of poor sleep on the nation’s highways. The job of the GOHS is to develop, promote, and coordinate programs that influence public and private policy by increasing public awareness of highway safety issues. As sleep professionals, you are uniquely qualified to address the sleep component of highway safety. I’ll be at the ASBA Meeting to let you know our thinking on this topic, but I’ll also be there to learn from you. What policies can we put in place to make Arizona’s highways safer? How can these policies be implemented nationwide? These are valid questions, and I look forward to exploring them with you. I recently attended a Bob Dylan concert and as Dylan stood there singing “The Times They are a Changin'”, I realized that he was right back then and hes right today. The times they are a changing – oral appliances have a bright future in the field of sleep medicine. The very next day I put in a disk of one of my favorite bands, The Grateful Dead, and if we are all going to “just keep truckin’ on,” I want Arizona drivers to do it safely. The Living Heart Foundation and Pro Player Health Alliance (PPHA), with support from the Professional Athletes Foundation and National Football League Players Association, conducted an NFL retired players overall health screening during the Pro Bowl weekend on January 28, 2017 at the University of Central Florida . Only American Sleep and Breathing Academy (ASBA) dentists were selected as dental sleep experts – Dr. Tara Griffin, Dr. Anthony Scianni, Dr. Zach Holder and Dr. Glenn Macfarlane. “When a player‘s athletic career ends, the level of exercise is reduced dramatically while caloric intake often remains high. This could lead to obesity, along with other serious comorbidities,” said Andre Collins, Executive Director of the Professional Athletes Foundation and NFLPA Director of Former Players. The event was an enormous success that saw over 60 players register and attend. With obstructive sleep apnea being so prevalent among retired NFL players, the dental sleep room was completely filled for the entire duration of the screening which lead to 46 players being found at high risk of having sleep apnea and later being tested for the sleep disorder . Those patients will be referred to and cared for (when medically indicated) by three ASBA dentists in the Orlando and surrounding areas to ensure quality care. Pro Player Health Alliance teamed up with the Living Heart Foundation to provide additional education regarding sleep disorders. The goal of Pro Player Health Alliance is to provide healthy long term solutions for NFL players with sleep disorders and spread awareness together across the nation. David Gergen, President of PPHA, has stated that through Living Heart Foundation and Pro Player Health Alliance, they are looking into expanding the program. For more information on how you can become involved in these screenings contact Pro Player Health Alliance, American Sleep and Breathing Academy or David Gergen directly at 602-478-9713 or via email at gxployer@aol.com. 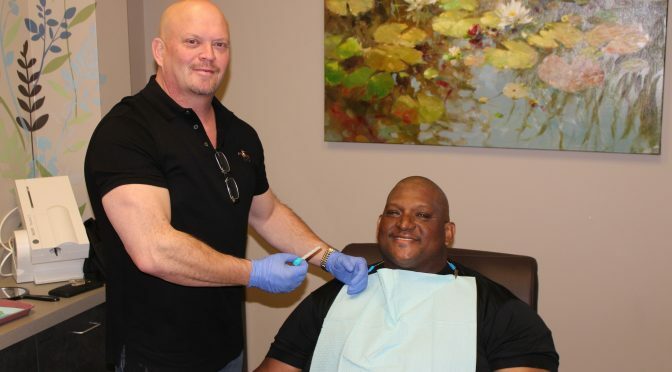 ASBA Dentists Treat NFL Greats…Do You?